A phrase or term in the English language that makes young people shudder and hide when heard. 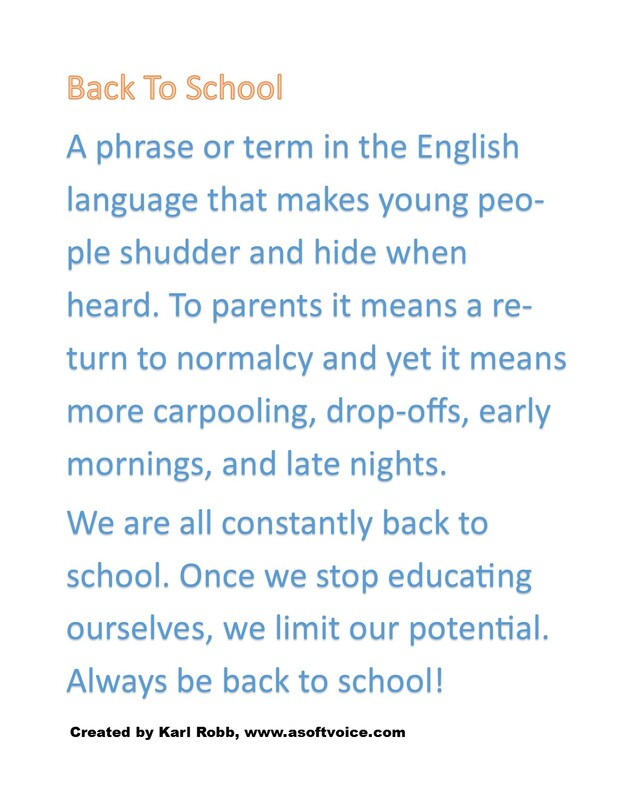 To parents it means a return to normalcy and yet it means more carpooling, drop-offs, early mornings, and late nights. We are all constantly back to school. Once we stop educating ourselves, we limit our potential. Always be back to school!